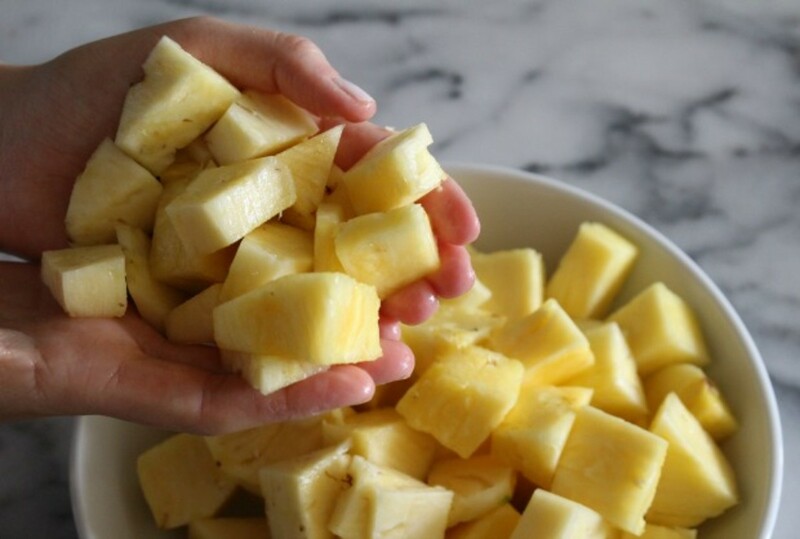 Ask Us:What is the best way to cut pineapple? 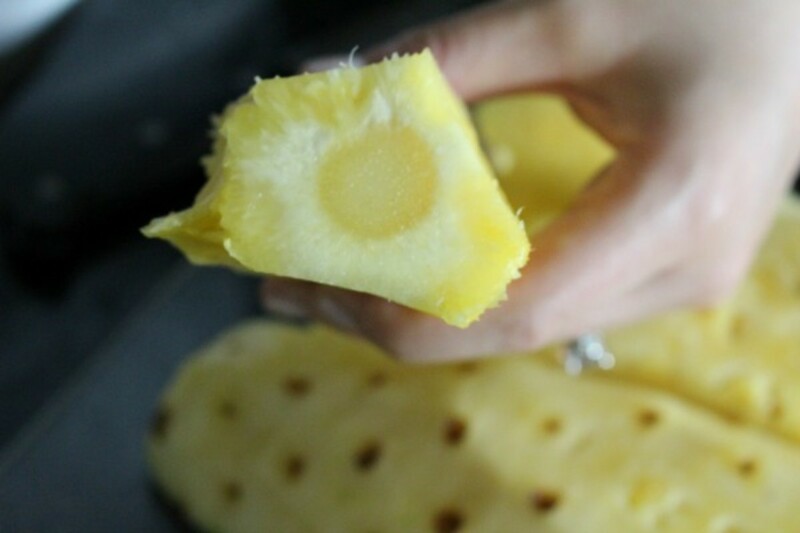 Pineapple is a sweet and juicy tropical fruit low in calories and rich in vitamin C, manganese and copper. 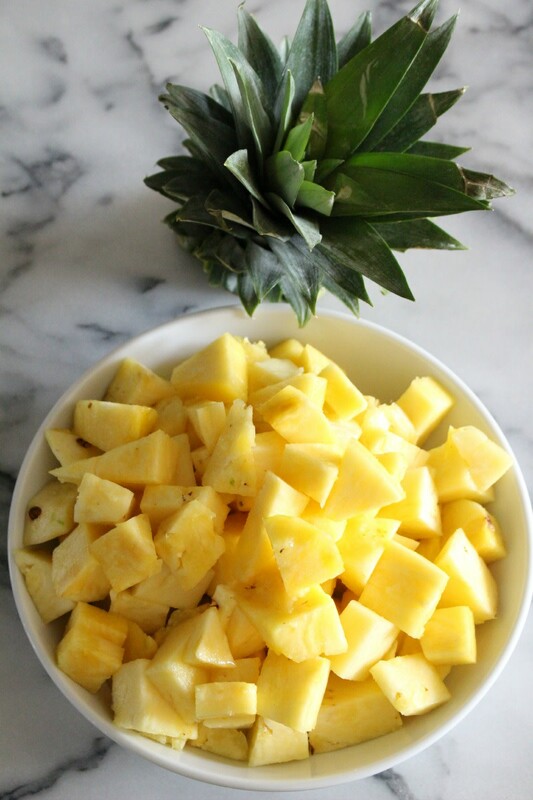 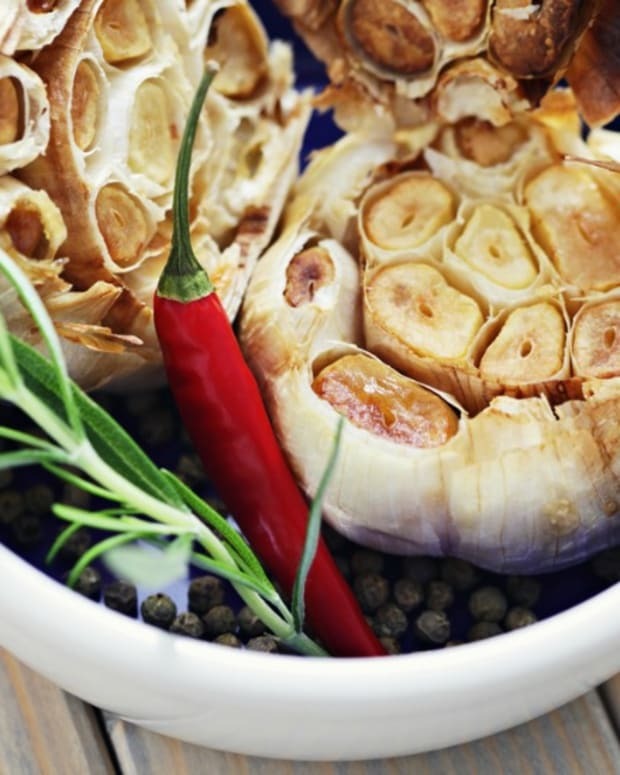 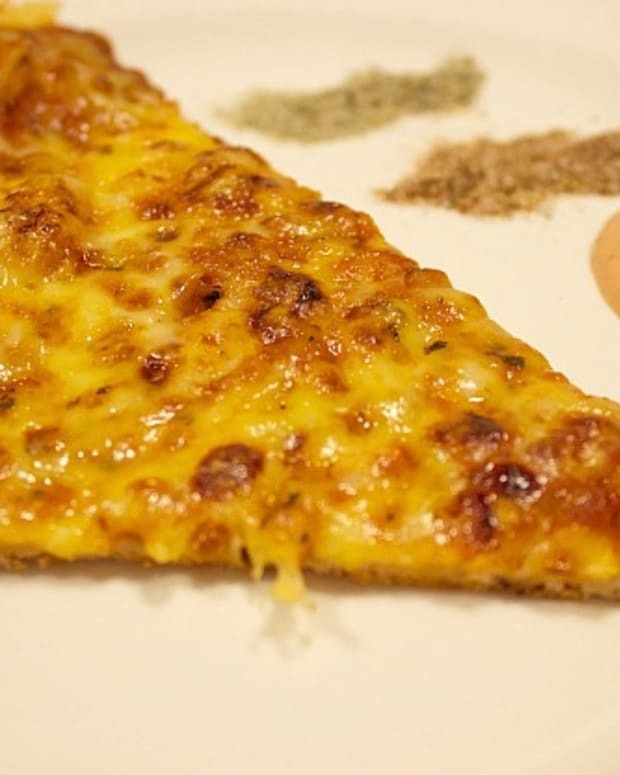 Additionally, pineapple has been shown to improve gum health and digestion and to decrease macular degeneration. 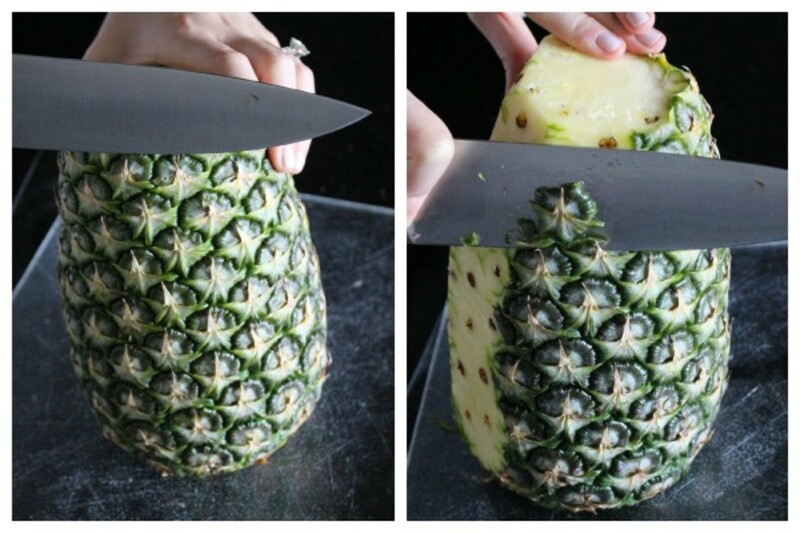 It is a beautiful fruit, but not the easiest to cut. 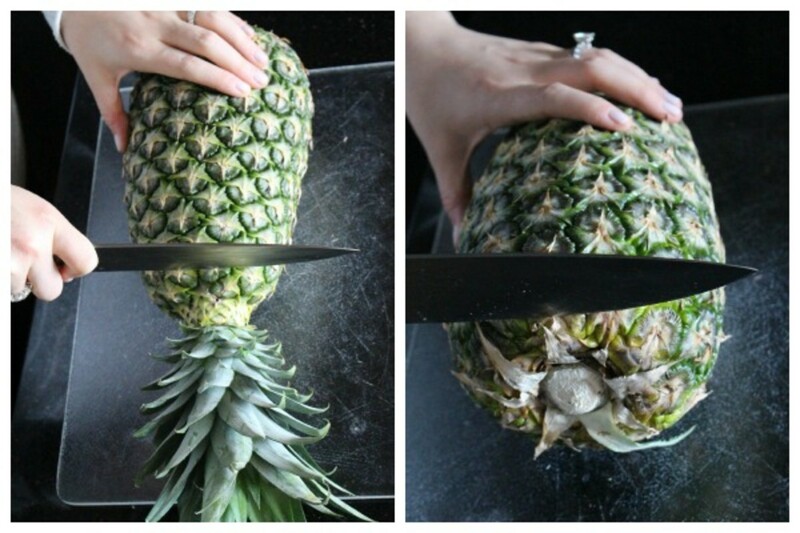 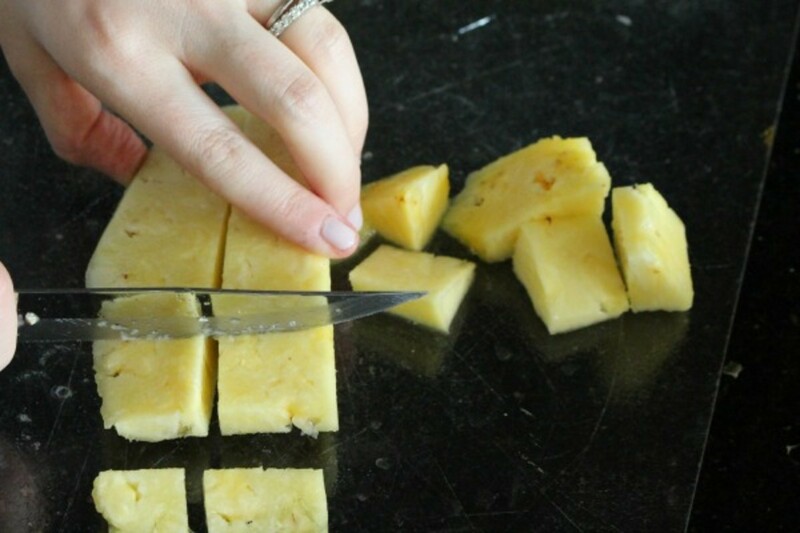 Here is my step by step guide to cut a pineapple. 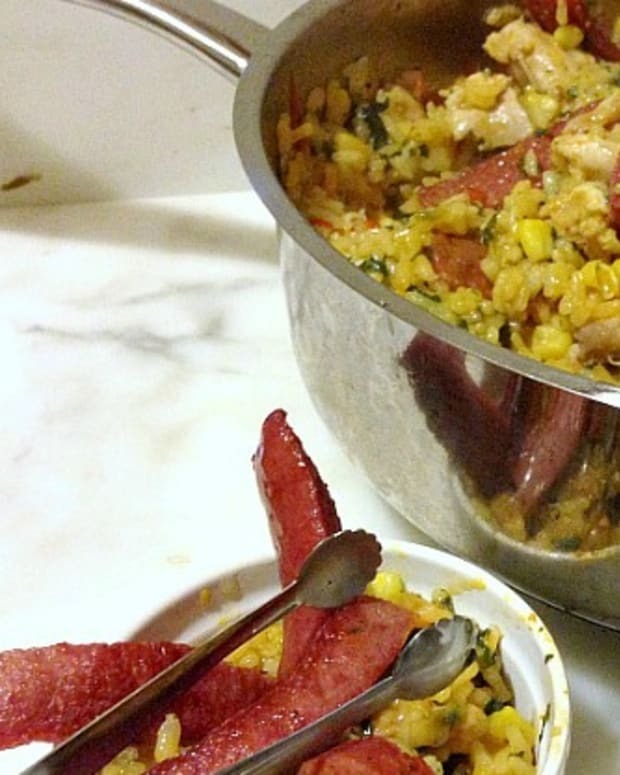 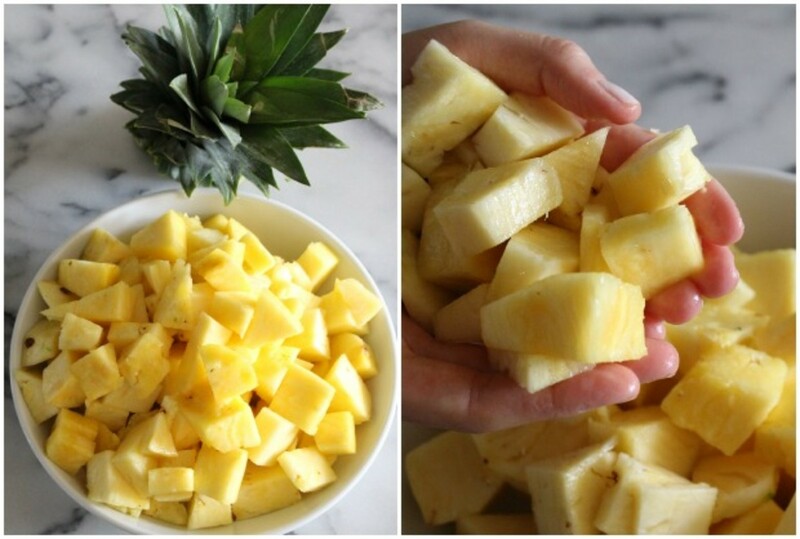 Now that you know how to cut a pineapple, and why it’s good for you, how will you eat it? 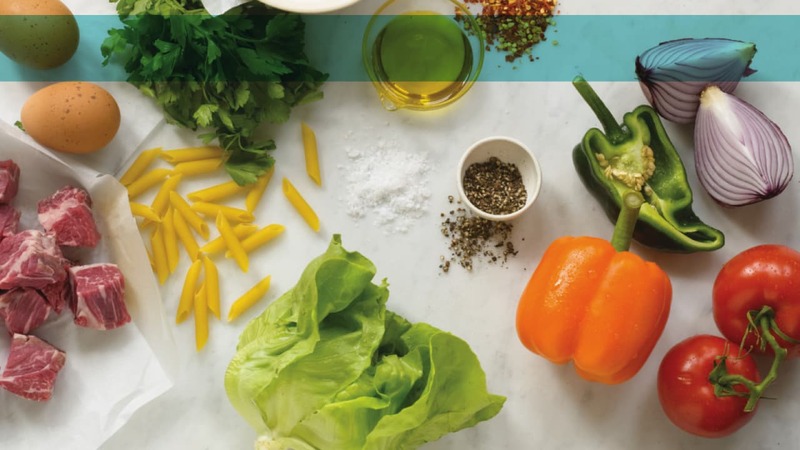 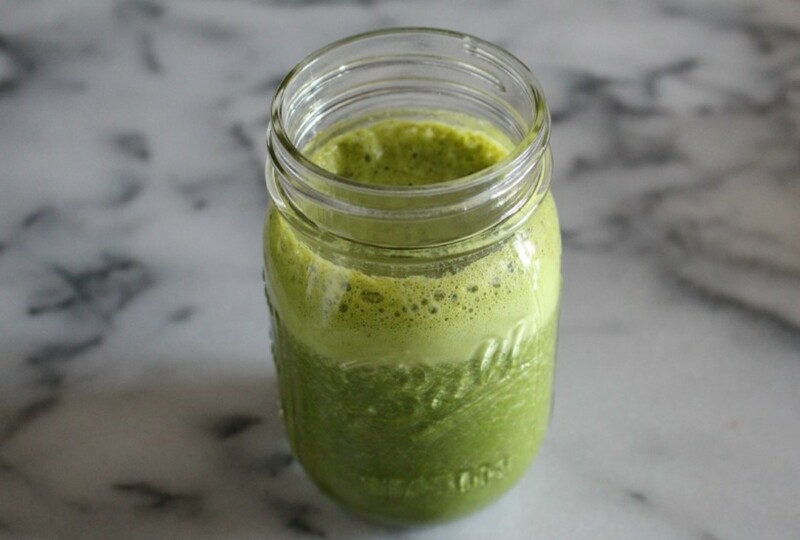 If you’re looking for a great new way to use pineapple, here’s a recipe for my favorite healthy green smoothie. 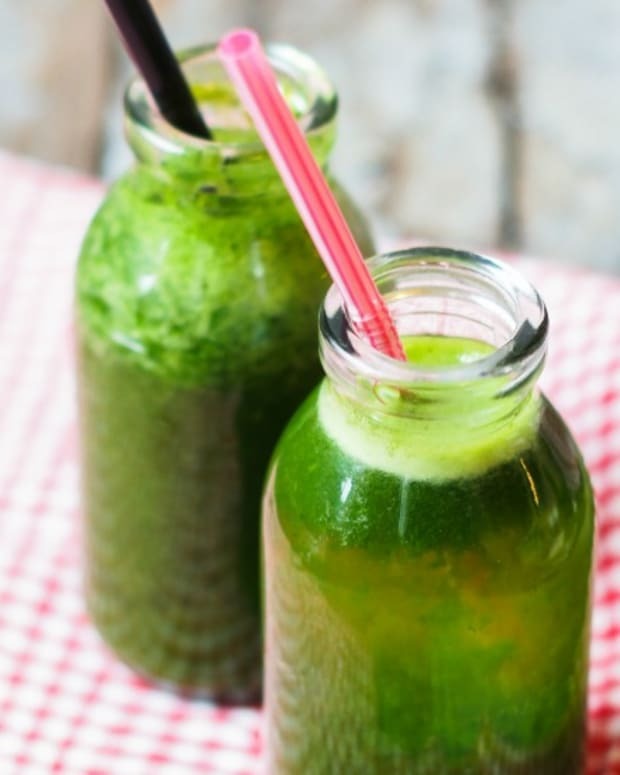 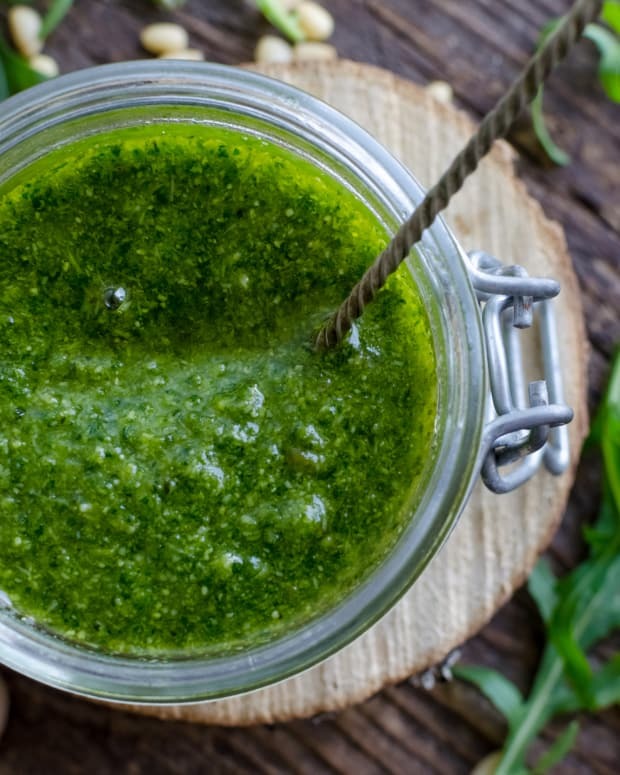 Click here for my recipe for Healthy Green Smoothie.